Have the stresses of your upcoming household or business move begun to take their toll? If you’d rather not spend the next few months pouring over every relocation detail, why not leave it to the pros? At Simonik Moving & Storage, we’re more than just a locally based moving company; we’ve been a team of committed Whitehouse Station movers since 1977. 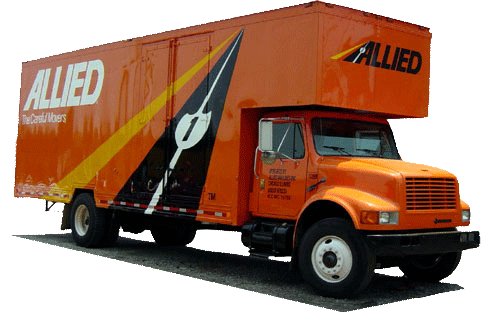 Over the last 40+ years, our dedication to customer satisfaction has earned us a number of industry distinctions, from BBB accreditation and membership in the New Jersey Warehousemen & Movers Association to ProMover designation and agent status with Allied Van Lines. Whether you’re moving locally within Jersey or all across the country, our movers will streamline your journey with the most customer-oriented service in the business! At Simonik Moving & Storage, the size of your household has no impact on the service you’ll receive, as our Whitehouse Station movers treat every project with the same care and support. Beginning with a free in-home written cost estimate, we’ll help you choose the right level of service for you, tailoring our many moving options to suit your family’s priorities as well as your household budget. From full-service moves to simple relocation support, we happily cover the entire spectrum! With our skilled movers, hassle-free relocations aren’t just for local households; they’re also possible for businesses and offices of all sizes! By pairing you with a dedicated move coordinator, we’ll make sure your commercial move goes smoothly from origin to destination—maximizing the impact of your project while minimizing the cost and employee downtime. If you’re moving your personnel along with your physical property, we can assist with that too! Just let your move coordinator know, and we’ll add your employee relocations to your office move or support you as a stand-alone service. To find out how affordable and simple your next household or business move could be, reach out to Simonik Moving & Storage today! Simply give us a call or submit our online form, and one of our Whitehouse Station movers will be in touch to set up your free on-site moving quote.